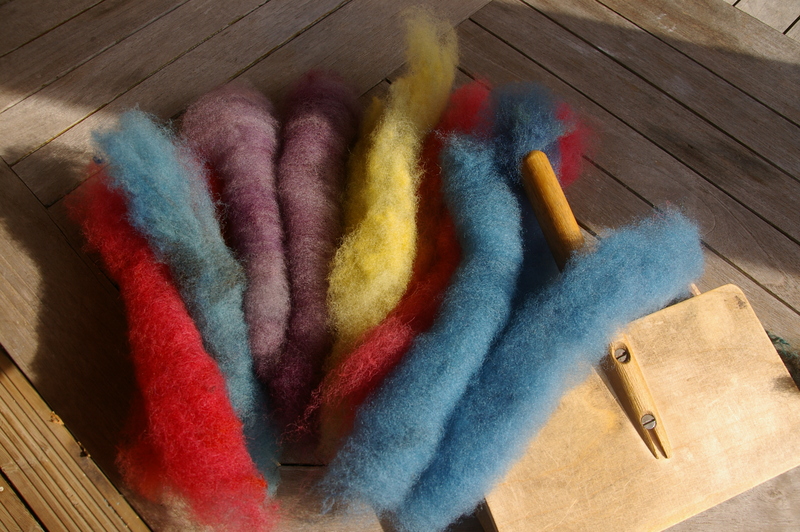 Here are some of the many colours from the Dartmoor dyeing session. 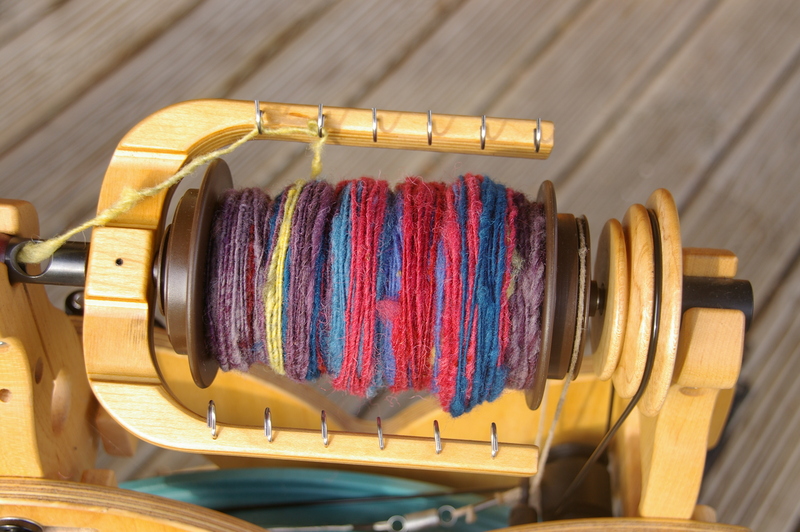 I started spinning by just taking handfuls of each colour from the fleece but the final staples needed a bit of sorting out so I carded those with my hand carders but didn’t spin a whole rolag at a time as I did not want regular stripes in the weaving. 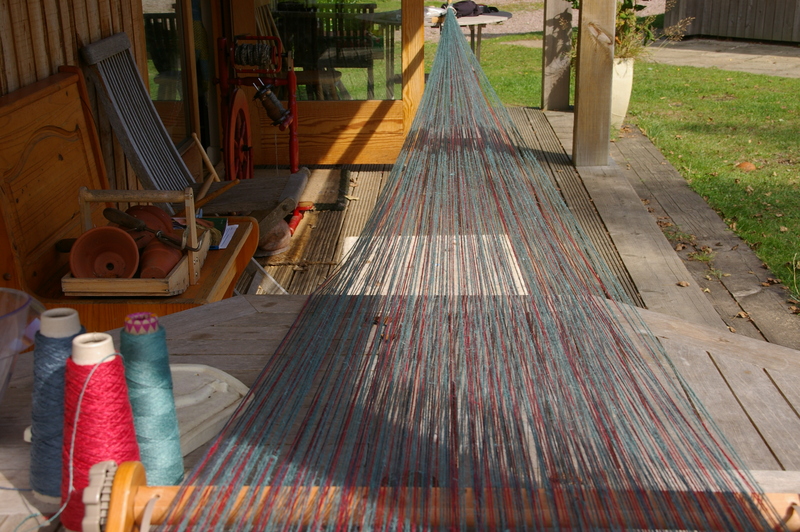 I find my porch is the perfect place to wind the warp using the quick threading method. As long as it is not too windy a day it works really well. 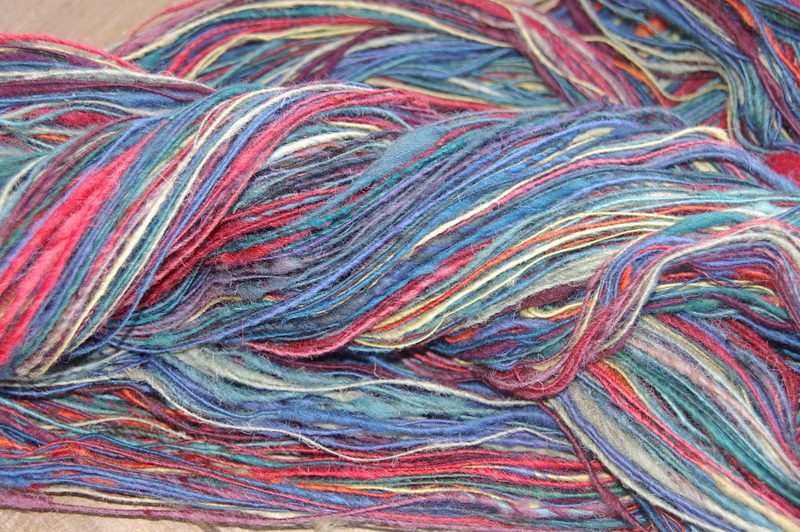 I used three different coloured linen yarns, threading one colour at a time. That way you don’t have to keep cutting and joining in each new colour. These yarns were from the Texere stand at Fibre East in July this year. Linen can sometimes be difficult to work with as it has so little give but this was really good, nice and smooth and easy to wind on.